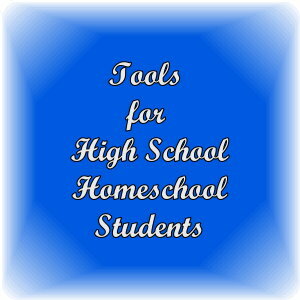 Homeschool equipment doesn't have to cost you the farm. I recommend just a few basics to start, then you can add what you need as needed. The basics include a digital camera that has a video function, a graphing calculator for math, finance, and economics courses, a printer with a scanner and CD printer, and extra ink cartridges for the printer. With these basics and the online courses available on the web, you can teach almost any subject. In fact, the only two things I can think of to add would be Microsoft Office and a small quality microscope. If you have more than one student with a computer, you might consider Microsoft Office 365. The family liscense allows you to download and install Microsoft Office on up to five total computers, laptops, or tablets. You can teach teens at home without these tools, but they make learning at home more fun. That which is enjoyable is more likely accomplished! I personally own and have used all of the products recommended on this page except the camera and the microscope. My camera is a Kodak EasyShare, which is no longer made, but is still available. When I replace it, I will replace it with the recommended camera. We used a microscope in our homeschool courses, but I no longer have it and do not remember which one we used. I have used others' recommendations to select one to recommend here. While you can spend thousands on a laptop, it just is not necessary to spend so much on a good, quality laptop for homeschool. Instead of spending thousands on one laptop, why not buy several quality, lower priced notebooks, so that all your children can work at the same time? My son worked as a laptop repairman at one time. He tells me that the Toshiba brand laptops were the brand seldom seen in the shop. Based on his recommendation to purchase Toshiba brands, I purchased one five years ago that has now been passed down to some of the grandchildren. It still works great. The only reason I replaced it was that I needed the newer operating system for my work. While most of my work is done on my desktop, I need to be able to work when traveling, so I have to have a laptop. Laptops would seem to be a better idea for homeschool students, though, since they are not 'chained' to the desk. The camera we used in home school was a 35mm camera, since digital was too expensive back then. Today, the camera I use is a Kodak EasyShare, but these are no longer manufactured. When I replace my camera, I will purchase a Canon PowerShot. The 16 Megapixel camera is a great tool for capturing images for homework. With the 720p HD video capability, students can make videos of their projects to share with distant family and friends. The 30x optical zoom and 24mm wide-angle lens with Optical Image Stabilizer makes it easy to take close up photos from a distance, too. And you can make those all important school pictures yourself! This programmable graphing calculator has been around a while and proven its worth. For high school pre-algebra, algebra, trigonometry, and calculus classes, this calculator is worth its weight in gold. This is the calculator I was required to have in college, and I love it. In fact, I still have it, even though I graduated in 2001. I find it helpful when shopping, too, since it keeps the numbers on the screen, and I can see if I miss-keyed a number when adding up my purchases. For students taking an independent skills class, this will help them with maintaining a checkbook, pricing products at the store, and so much more. This microscope has a 4.7 stars out of 5 stars rating on Amazon with 83 customer reviews. With the all-metal construction, it should last through several homeschool students. This microscope is perfect for biology and other science courses. The 45-degree inclination reduces both eye and neck strain. The tungsten lighting, and the color filter, make it easy to see sharp images in the microscope. Stage clips secure the specimen slides. Overall, a good product. This multi-function printer not only allows your students to print out what is needed for school assignments, you can use the copy, scanner, and fax functions to submit any required documents. And this printer saves paper, since it will print on both sides (duplex printing). Unfortunately, like most printers you purchase these days, the starter ink cartridges don't last long, so be sure to order extra ink. I have used this printer daily since November 2011, and it works great! It is getting hard to find, but definitely worth having if you do. Because it is wireless, it can be accessed by every computing device that uses your wireless router for Internet access! Also, when the USB port on my desktop computer burned out, I was able to just use the one on this printer, rather than having it fixed. Who wants to put money into a desktop that needs to be replaced soon? With a printer that prints on CDs and DVDs, such as the Brother MFC-J825DW recommended above, students can save each year's work on a CD or create custom CDs containing their own movies created with Windows Movie Maker. In fact, the ability to print on printable CD's and DVD's is one of they main reasons we purchased this printer. It makes a fun project to create your own movie or make your own cookbook or family album with personal images burned on the CD. Office 365 Home is a yearly subscription cloud service that allows you to download and install Microsoft Office 2016 onto up to 5 computers in your home. For less than $100 per year, you get Word, Excel, PowerPoint, and Outlook. For PC users, Publisher, Access, and Onenote are included, too. Again, this is for 5 installs to desktops, laptops, or tablets. Mac users can use Office 365, too, but Publisher, Access, and Onenote are not included. If Microsoft puts out a new version of Office during the year's subscription, you will receive the upgrade as part of your subscription service without additional cost. So, I suppose the question is, do you really need all the above to have an effective homeschool. No. Absolutely not. We didn't have most of it and still had an effective homeschool. All we had was an old 486 PC and an inject printer that would not do anywhere near what the printer mentioned above would do. The microscope we used was just as expensive, but not near the quality as the one mentioned above. Truth is, learning can be done without any of these items. However, they do make it easier and more fun. And making learning fun is half the battle. I don't have high schoolers or home school but thanks for sharing anyway! Hi Hil D. Thank you for commenting. I always enjoy your Bloggers Spotlight party.